From Anna Luke of Gluten Free? Gimme Three. Line the bottom of the sheet with crackers, filling about 2/3 of the sheet. In a saucepan, melt the butter and brown sugar. Cook until the mixture boils and thickens. Remove from heat, add the salt and vanilla and pour over crackers. Spread in a thin layer to cover. Remove from oven and sprinkle with chocolate chips. Let stand 5 minutes, then spread with a spatula. Sprinkle with pecans and raisins, push into the chocolate lightly with spatula. Want more holiday recipe ideas? Download the free 2012 Gluten-Free Holiday Cookbook, sponsored by Crunchmaster. Mix Thai Chili & Ginger Sauce, oil and cilantro in small bowl until well blended. Reserve 1/4 cup for brushing. Place shrimp in large re-sealable plastic bag or glass dish. Add remaining marinade; turn to coat well. Refrigerate for 30 minutes. Remove shrimp from marinade. Discard remaining marinade. Thread 4 shrimp onto each skewer. Grill over medium heat 2 to 3 minutes per side or just until shrimp turn pink, brushing with reserved marinade. In a medium bowl, combine brown sugar, 1 tablespoon melted butter, cinnamon and orange zest. Add apples; gently toss to combine. Transfer mixture to the prepared baking dish. In a small bowl, combine Crunchmaster Grammy Crisps, pistachios, oats, and remaining butter. Using your fingers, mix to form a crumb consistency. Sprinkle crumbs over apples. Cover dish with aluminum foil and bake for 30 minutes or until bubbling. Uncover and bake for another 20 minutes. Serve with a dollop of Greek plain yogurt. In a medium pan heat up the cream of chicken soup and tomato sauce, stir in the chili powder, onion powder, garlic powder, cayenne, and cinnamon on medium heat until it is simmering. Once simmering, reduce to low heat and cover. After 5 minutes stir in cooked shredded chicken and cover for another 5 minutes on low heat. Take lid off and stir in 1 cup of the queso fresco. Place chicken mixture into center of each Rudi’s Plain Gluten-Free Tortilla, roll up and line in pan. Pour excess sauces over the enchiladas and sprinkle remaining cheese on top. Place in oven for 20 minutes and enjoy! Bake cubes for about 10-15 minutes. Add onion, celery and rosemary to pan. Season with salt and pepper. Gently stir together bread cubes, onion mixture, cranberries and chicken broth. Place mixture in greased 8x8 inch pan. 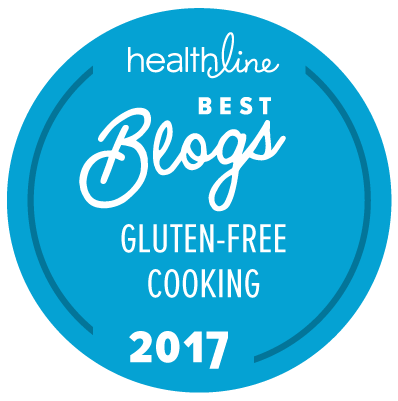 For more fall-inspired gluten-free recipes and reviews, visit Gluten-Free Cooking with French Meadow Bakery.